February is maple harvesting time in Maryland. Join the naturalists at Irvine Nature Center on February 9, 10, 16, and 17 in a quest to harvest and make delicious maple syrup. Learn to identify maple trees, properly tap a tree to collect its sugary sap and convert the sticky fluid into syrup. You’ll even get a taste of this liquid gold as a reward for all the hard work! Appropriate for all ages with an adult. Cost: $2 for member families and $10 for non-member families — register here. 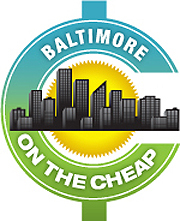 Check out Baltimore on the Cheap’s day-by-day calendar for more fun, inexpensive events.